Bearberry Extract for Skin Lightening: Does It Work? Bearberry extract is quickly becoming a darling of the skin lightening – and anti-aging – industry. 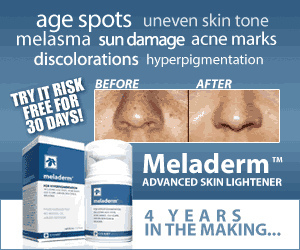 In a January 2014 episode, Dr. Oz unveiled his whole body anti-aging guide and bearberry extract featured as the good doctor’s choice as the best skin lightening ingredient to fade signs of aging such as age spots. And more and more companies are catching on to its benefits, as shown by how often this botanical ingredient shows up in skincare products. Read on to find out what it is and what it does for skin whitening. Bearberry extract is made from the leaves of the bearberry shrub (whose berries are a favorite food for bears, hence the name). Its claim to fame? It contains the active agent, arbutin, which naturally lightens and brightens skin. Interestingly, there are 3 types of bearberry shrubs but only the common bearberry, arctostaphylos uva-ursi (fun fact: the Latin name “uva ursi” actually means, “bear grape”), produces arbutin. So what’s so awesome about arbutin? For starters, arbutin is a naturally-occurring cousin of hydroquinone – a highly effective but controversial synthetic skin bleaching agent. Like hydroquinone, arbutin works to whiten your skin by inactivating tyrosinase, an enzyme responsible for producing melanin. The difference is that arbutin is a totally natural, botanical-based compound that has the same skin whitening benefits as synthetic hydroquinone – without the side effects or risks. And arbutin is not the only perk provided by bearberry extract – bearberry leaves have long been used in herbal medicine for its anti-inflammatory properties as well as its anti-bacterial effect, especially on urinary tract disorders including infections of the kidney, bladder, and urethra. It’s so effective for treating urinary tract infections that it was the go-to treatment for UTIs before antibiotics were discovered. As for anti-aging benefits, Dr Oz was right about recommending bearberry extract. The polyphenolic compounds found in bearberry leaves have been shown to have strong antioxidant properties that protect the skin from the visible signs of aging like premature wrinkles and fine lines caused by free radical damage. It works as well as hydroquinone for whitening and brightening overall skin tone as well as correcting hyperpigmentation problems like age spots, freckles, melasma, and acne scars. Unlike synthetic hydroquinone which is made by mixing the carcinogen benzene with either propene or carbolic acid (none of which are very nourishing for the skin), bearberry extract is completely natural and brings to the table additional anti-aging and anti-inflammatory benefits. Coming from a botanical source, bearberry extract contains antioxidants that protect against free radical damage and UV rays. That means this natural source of hydroquinone won’t form dangerous free radicals when exposed to sunlight, like synthetic hydroquinone does. Bearberry extract contains allantoin, which has soothing, skin-repairing properties. Unlike synthetic hydroquinone, it’s non-irritating and suitable for even sensitive skin. Keep in mind that this is a full-strength, very potent extract and it’s not recommended that you use it like this. Instead, simply drop it into your favorite cream or lotion (around 5 to 10 drops per ounce of cream). Make sure you exfoliate your skin first for best results! “I saw this product on Dr. Oz and decided to try this extract for the value. I have been using this on my hands and arms once daily at night for sun damage and freckles. My goal was mostly to just get rid of the freckles and the spotty appearance I was starting to get. “I have used this product for every night for nearly three weeks and it has definitely improved the hyperpigmentaiton left by past inflammatory acne. It also helps prevent new spots from forming because decreases the activity of the enzyme that produces melesma that causes these unsightly spots. We love this serum. It’s hydrating, smells yummy and it works damn well while using the most natural ingredients. It’s not just bearberry extract in this one – this serum’s got a potent blend of skin lighteners like kojic acid, bearberry extract, and licorice root as well as antioxidants and natural exfoliants. To top it all off, it has a heap of skin-health-boosting ingredients like hyaluronic acid and MSM. Extra perk? Most of the ingredients used are organic. Yet another potent serum containing bearberry extract – but this time, it’s got a host of skin plumping and firming ingredients along with it. This is ideal for those of you trying to get rid of dark patches from acne as well as correcting indented acne scars and keeping current acne under wraps. Why? It’s got a potent dose of Niacinamide (an essential ingredient for overall skin health) as well as scar-healing ingredients like sea kelp and emu oil and of course, lovely bearberry extract.